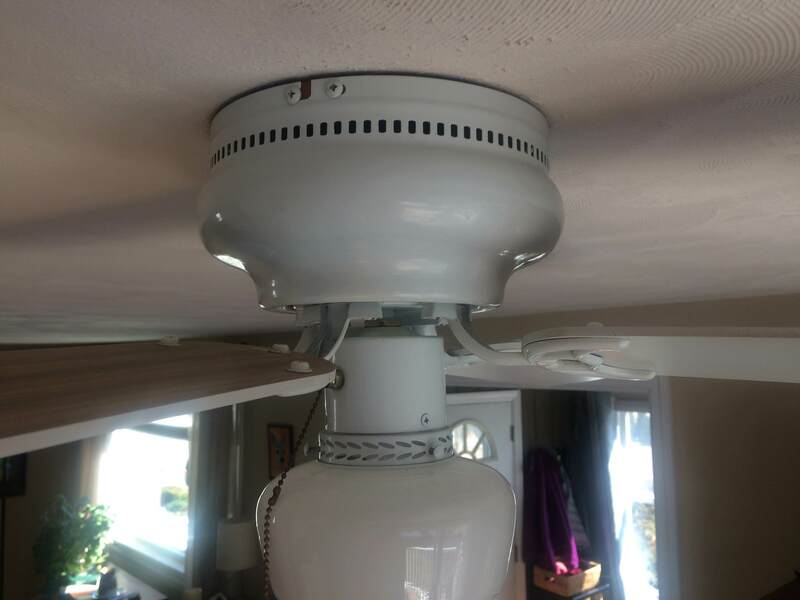 This ceiling fan sounds "dry" during operation. I don't know what brand it is as I'm new to this house. Does this type of fan need lubrication, and if so, how is that done? Hello fanproblem8. Welcome to the Community! While there are older ceiling fans that have provisions for oiling the motor bearings, they are not very many of them. Typically the bearings are sealed and "permanently" lubricated. Unfortunately, without a brand and model #, I have no way to come up with an owner's manual which might yield motor maintenance procedures. My guess by looking at this fan is that the only way to see if you can get at the bearings would be to take it down.